Original Glamping‘s remote location is not for the impatient traveler, but those seeking a true escape will be richly rewarded. 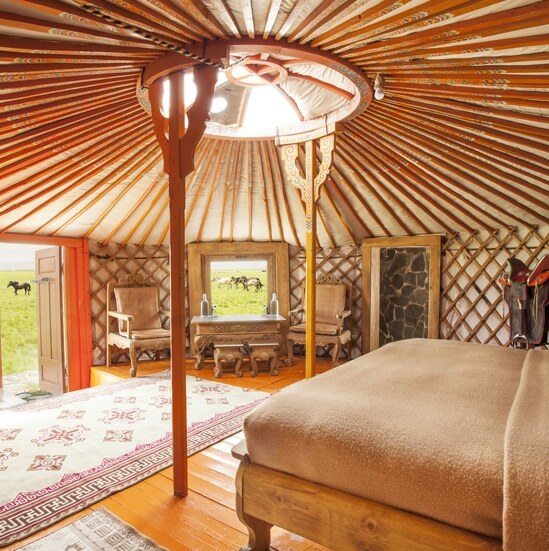 Three Camel Lodge offers a luxurious take on the traditional nomadic lifestyle. Many of our Lodge staff members were raised right here in the Gobi, and all are happy to share their love and knowledge of the desert. The Gobi is our home, and we want all who visit us to know that they are our honored guests.